MY first Alfa Romeo was, in fact, my first non-company car for nearly 16 years. Knowing I intended leaving the firm in April 2002, I began reviving an interest in cars in the knowledge that I would have to spend my own money buying one. All good sense told me to go for something with a reputation for reliability and economy – but I didn’t. I followed by heart rather than my head and bought an Alfa! And although they still had something of as reputation for misbehaviour, I was smitten by their charisma, their character and their performance. It was the start of an enduring love affair with Alfa Romeos and, all these years on, I must say I have never had cause to change my mind. This first one was a bright Italian red 2.0-litre Alfa Romeo 145, bought in about February of 2002 from a private seller near Frome. It was a 1998 R-reg model. It was tremendously quick, terrific to drive and I was thrilled to bits with it. 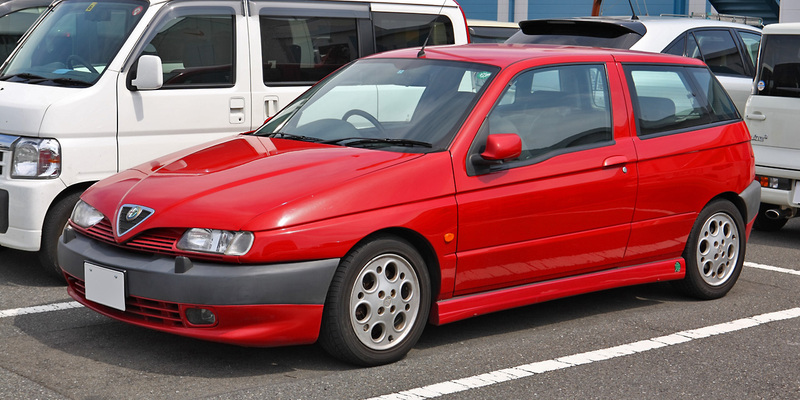 However, the more I learned about Alfas, the more I hankered for the 145’s larger and more handsome brother, the 156. And when the right one came up for sale on the forecourt of Red Motori at Spetisbury, near Blandford, in late 2003, I part-exchanged the 145.